What type of bat does Ashley use? In my novels one of my main characters, Ashley, uses a baseball bat to fight the undead. She is a modern day swords-woman. She will often switch between wielding the bat with one or two hands. So what bat does she use? It has to be a bat that would be light enough to be flourished, but heavy enough to crack skulls. Too heavy and the bat would become less of an asset and more of a burden against zombies. 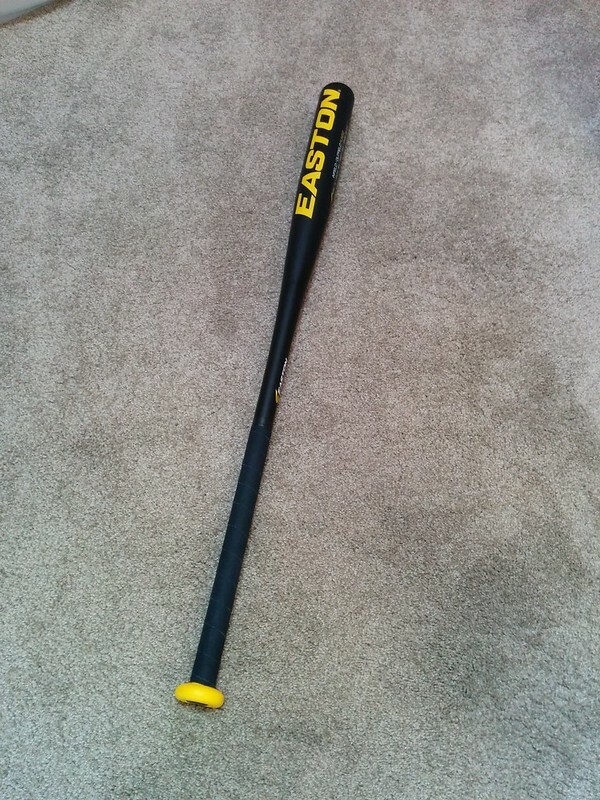 Here it is, Ashley's weapon of choice: The Easton F4 Fungo baseball bat. For starters, fungo bats are used by coaches for baseball practices everywhere. They are held with one hand as the coach lobs and hits balls with the other. They are light and easy to swing. Their tough aluminum alloy makes them durable enough to fight off the undead. This particular bat is special though. So there, you have it. Ashley's choice of weapon and, in my opinion, the best blunt weapon you can use during a zombie apocalypse. 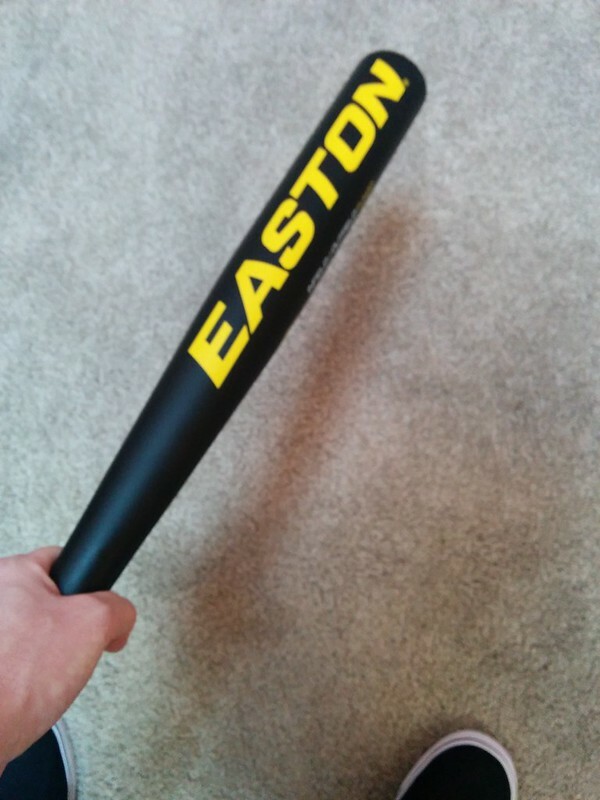 The Easton F4 Fungo bat.